Shift Into Joyfully Creating Within The New Paradigm! Remarkable new Angel Session with Archangel Orion will balance your energy, raise your vibration, and help you manifest blessings in under 15 minutes! Have you been feeling a bit different recently? We've just finished receiving an incredibly high vibrational wave of ascension energy. This energy is manifesting in all sorts of interesting ways, and as huge changes and shifts happening in one way or another, in the lives of all. Now, the energies have calmed down (just a bit), and so we're left with a powerful opportunity to integrate and balance the new paradigm of light and ascension energies now available. In this new angel message, Orion connects with a simple process to help you balance and center your energy in the new energy. This process is simple, quick, it feels great and it works to restore your vibration, and will guide you to integrate the blessings of the Divine into your life. 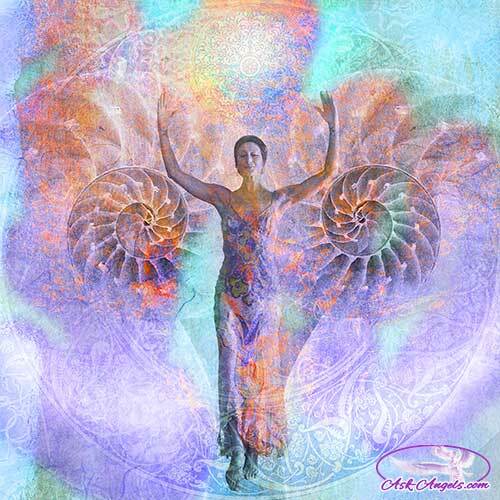 The new energies have the incredible power to help you bring about positive change in all areas of your life, but for this to work you have to let it, by releasing lower vibrational responses, and from a place of love, realigning with your highest truth. In addition to creating balance when you relax and listen to this message you will connect with an incredible frequency to support you in integrating more love, light and Divine presence so you can effortlessly create positive change in your life in a way that benefits all. Get Instant Access to This Angel Message Now For Only $11.11! As always your satisfaction is guaranteed with a 100% money back guarantee! These angels keep falling in love with me.